You did a really nice job composing this photo. 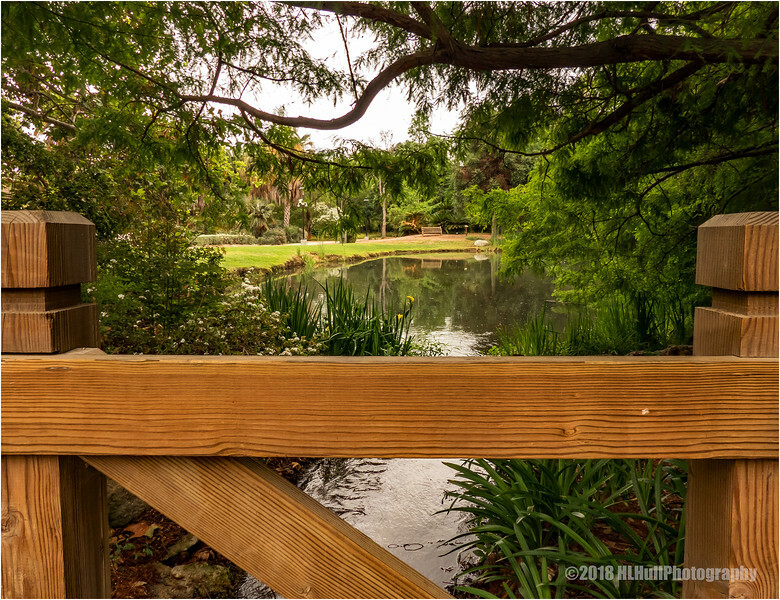 The pond is nicely framed by the pretty fence railing (or is it a bridge over the water??) Nice grain in the wood railing. Love the way you framed the scene.